I have been a bad blogger! I know… I am sorry. I have no excuses. I honestly have no idea where the last month went so that is that. Life gets away from us sometimes. I can’t make the promise that I will always be super consistent in my posts. It is what it is. I could make this a gushy, my husband is amazing, post. Blah, Blah, Blah! Ed, you are amazing. You know how I feel. My husband is better than your husband, yo! But I won’t. What I have been reflecting on if how, in this day and time, being together and making a marriage work for 13 years is a pretty damn magnificent accomplishment. I have to be honest, I have some friends that have been married for longer than us. I am not saying that we are better than any other couple. Marriage is hard work at times. There is a lot of compromise and melding. You do lose some sense of self because you become a part of a “we.” What I think is that in this impatient, disposable world, that we have made the commitment to make this last. I am an open-minded person. Every person has the right to make the choices that they feel are best for them. I try not to be a judgemental person, but I am not going to lie, sometimes I judge. I am human. I just think that to me, the mindset of a starter marriage is sad. For some people, they figure if this marriage doesn’t work out, than so what, I can get another one down the road. Why bother, live together be a couple. But call me old-fashioned, in my modern liberal attitude, marriage is sacred. Now, before I get hate mail (LOL, I don’t get any mail…) If you give your marriage a shot and it doesn’t work out, then it doesn’t work out. You have to protect yourself and not stay in a miserable, toxic relationship. Just wanted to clarify. There are times when it does not seem that we have been together this long. Sometimes, I feel like we are just getting started. And hopefully, we have. There are times when I can hardly remember my life B.E. (before Ed) and I blame the alcohol for that (crickets? nothing? That was funny people!). There have been times when I have needed a break (I have not written a 16 page letter front and back, however. Get it? Friends reference) But I can say that I love being married. Do I always like my husband? No. When we walks over the laundry basket sitting at the top of that stairs, EVERY single Saturday morning. No, he makes me nuts sometimes. But do I know that there is going to be someone who will be there at the end of the long day, that just makes things feel right? Yes! Are there week’s when we see each other for 15 minutes, half awake in the morning, and an hour before bed at night? Yes. Those are not my favorite times. But they don’t happen every week. It is all balance. I am lucky. My family has given me some great role models with marriage. My aunt & uncle have been married for over 40 years and been inspiring in their relationship. My grandparents were married over 50 years before my grandfather passed away. My parents are still married for also over 40 years. That in itself is pretty inspiring. I guess to wrap my rambling, jumbled mess of a long over-due post. 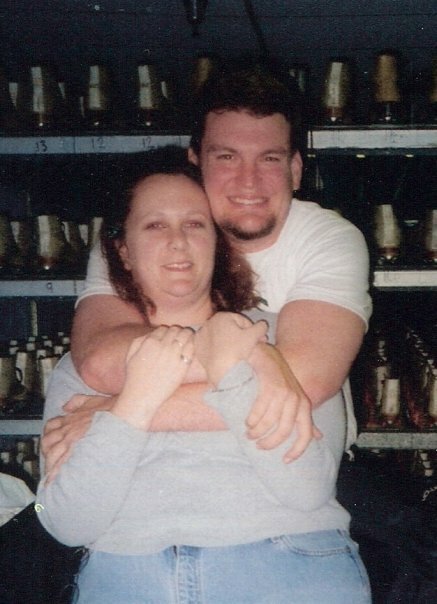 I am happy, and proud to celebrate 13 years of marriage. Think that this is our Lucky 13 and I can’t wait to have so many more years with Ed. I am a lucky girl. I have found my balance to my neurotic, OCD self. And I could not have asked for more. So to the rest of you. Happy whatever you have to you! Celebrate. Celebrate being single or newly divorced or in a relationship or it’s complicated or domestic partnership or married or whatever. Just celebrate! Life is too short. Be happy, my friends!